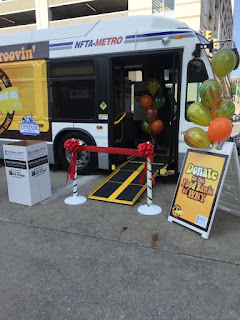 On August 1, the NFTA launched its Givin' and Groovin' bus to support the Food Bank of Western New York. 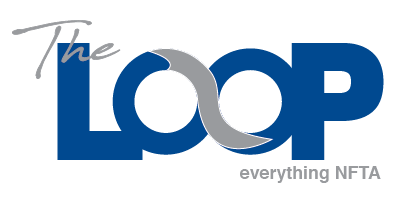 Partnering with the Erie County Fair, Upstate Farms and Tops Markets the bus made stops all over Western New York collecting nonperishable donations. Its last stop was the Fair where Metro staff unloaded a whopping 1,300 pounds of food (with some cash donations) equating to an estimated 1,535 meals for those in need. 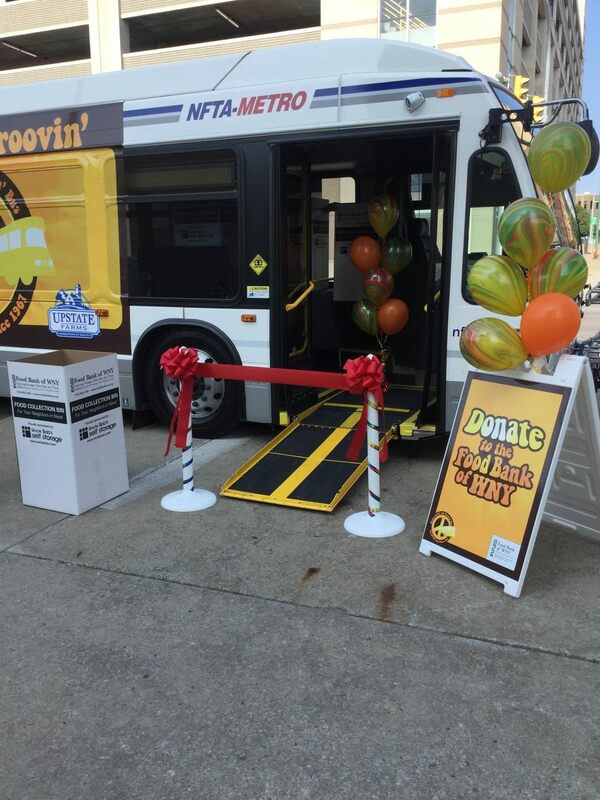 The Givin' and Groovin' Bus was designed in honor of the NFTA's 50th anniversary. 1967 was “The Summer of Love” and the NFTA is keeping that spirit alive.